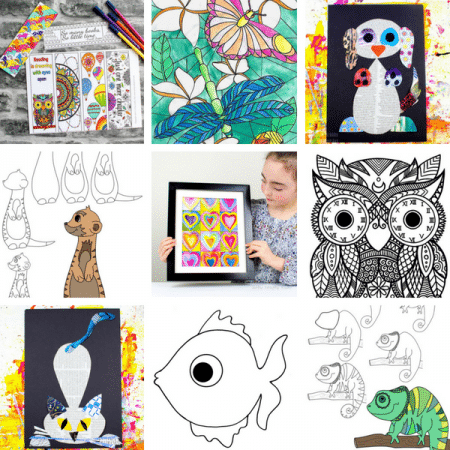 Following the success of our crazy popular Autumn Handprint Tree, we’ve been working our way through the seasons to create a Four Season collection of Handprint Trees. 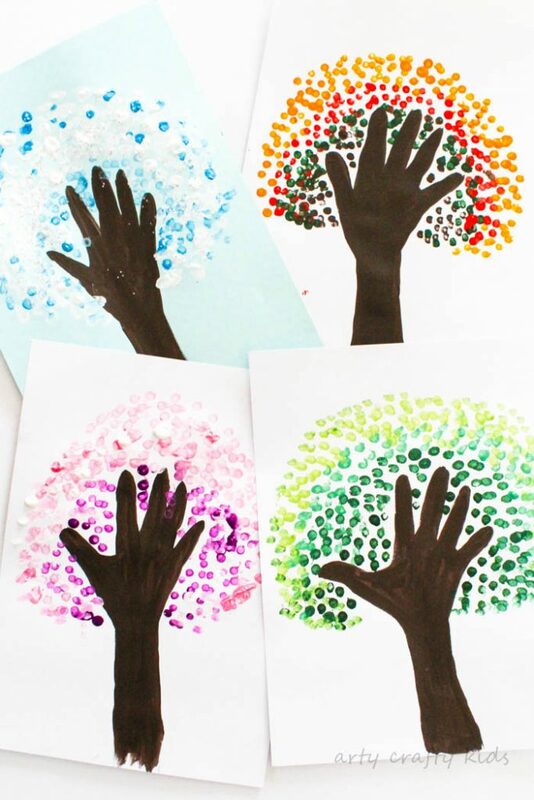 The response to our handprint trees has been amazing and I’ve loved seeing the stream of handprint trees from arty crafty kids across the world! Together these crafts beautifully present the colour transition of seasonal change and this craft has been a fantastic way for my kids to translate their observations into art. You will notice that each of the trees display various shades of colours and on a very basic level, it’s an opportunity for kids to explore colour mixing e.g. making shades of green and pink lighter/darker, as well as creating autumn shades. 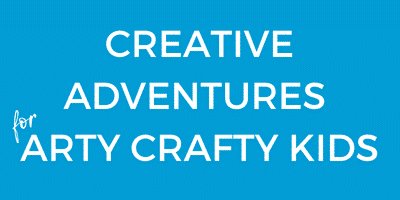 To see the craft in action, check out our nifty video and once you’ve seen it, sign up to our brand new YouTube Channel! As you can see, we’ve used the same method to complete each of our trees. If you do not have q-tips to hand, try using the end of pencil or paintbrush. Alternatively, substitute the Q-tips with a finger! 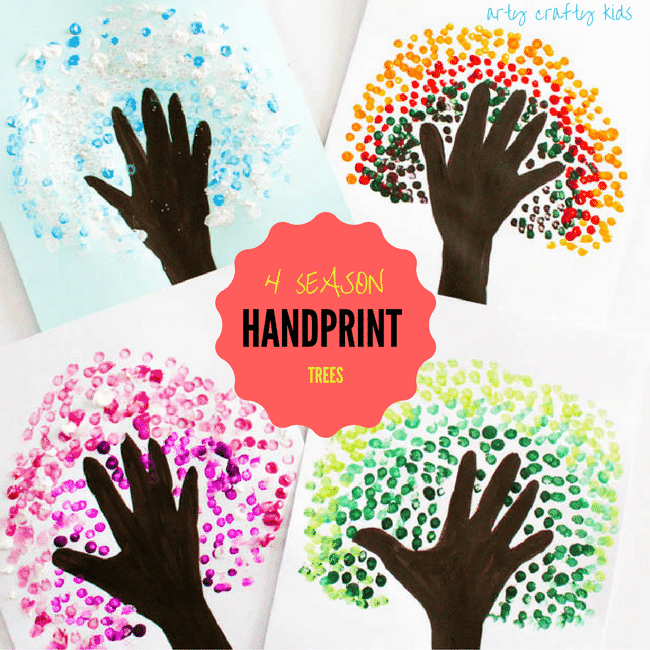 I hope you’ve enjoyed our Four Season Handprint Tree post and will try working your way through the seasons with your kiddos. To recap on our previous posts, take a look at our Autumn Handprint Tree, Winter Handprint Tree and Cherry Blossom Spring Handprint Tree. And if you would like to create some trees in between the seasons, we have that covered too! just take a look at our Apple Stamped Handprint Tree, Halloween Handprint Tree and finally, our adorable Watercolour Heart Handprint Tree. Who knew there could be sooo many handprint trees!